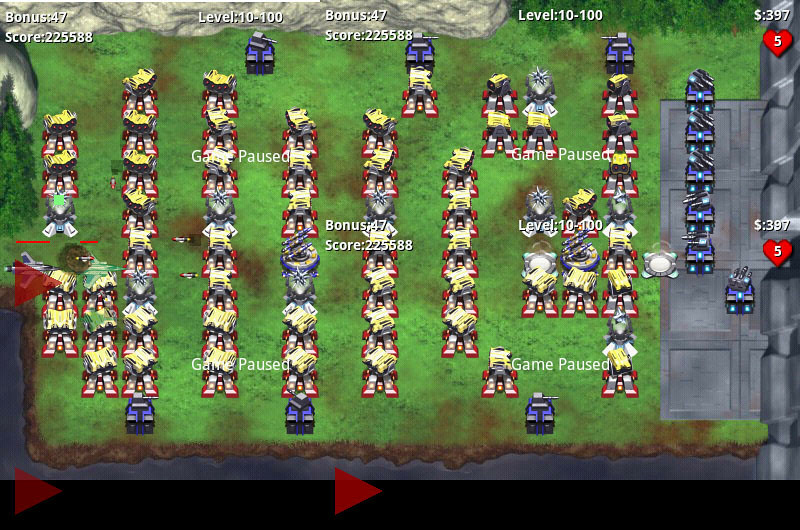 2009-09-19 21:59 by Ik T.
I completed Robo Defense Free level 10, and took a screen shot for a memory. It is a composite image of four screen shots. I made it from right to left by a way of making a road for robots from exit side to entrance side. I prepared Teleports early, and used it much.